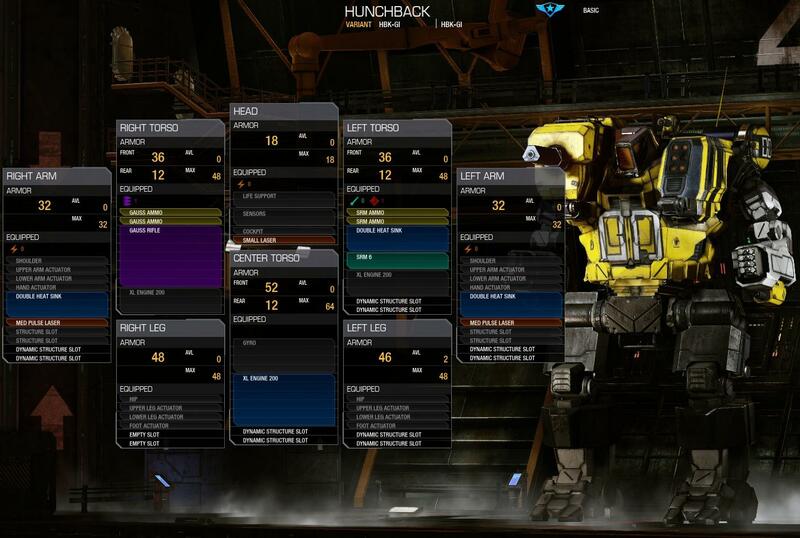 Here you can find all hero mechs available in MWO. I had this plan long ago but I could finally realize it when I used the test client to buy them. 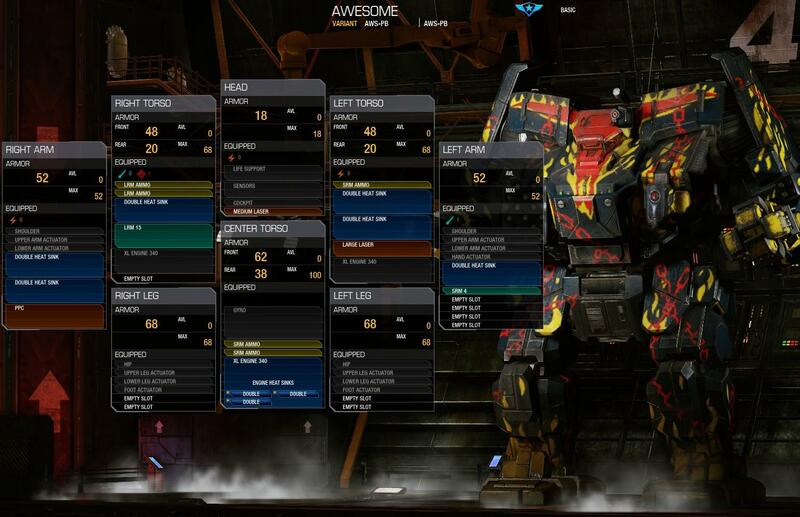 This thread features pictures, detailed information, builds, suggestions and links to your favourite hero mech. 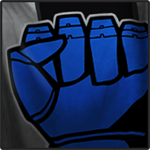 Thanks to Smurfys Mechlab, Sarna, mwo.gamepedia and the 5th Hessian Nagelring Brigade for their help. Edited by Catalina Steiner, 08 July 2015 - 05:27 AM. 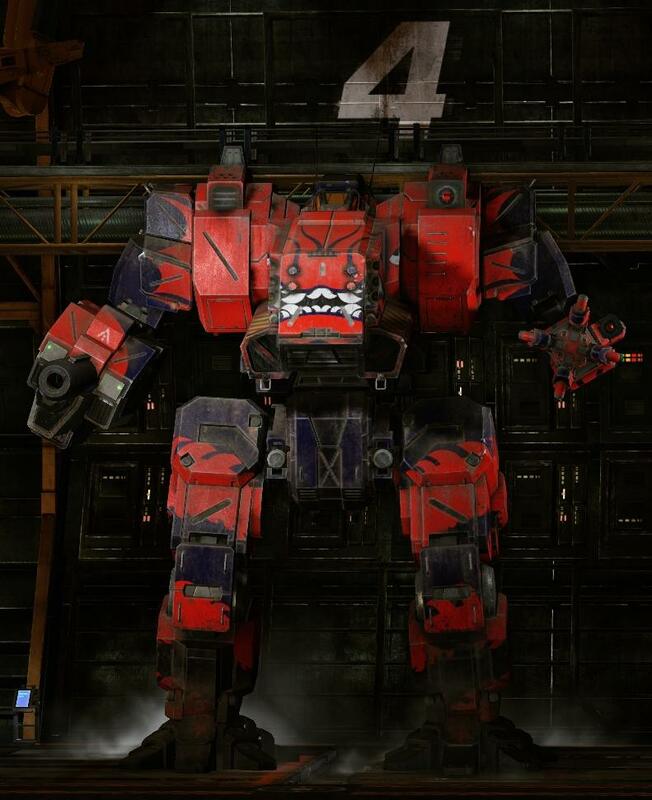 The Death's Knell is the hero variant of the Commando chassis. It carries four enery hardpoints. 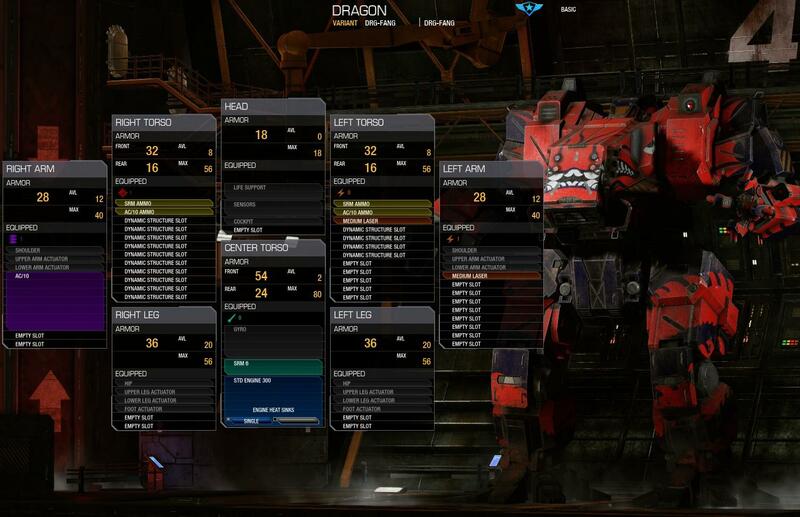 That means that you can use it as scout (maybe with TAG to support your LRM boats) and as a fast harraser. The TDK can also carry the engine size of 240 which provides a speed of 171 kph (the maximum speed at MWO until now). The TDK comes with double heat sinks but without endo-steel structure or ferro-fibrous armor. 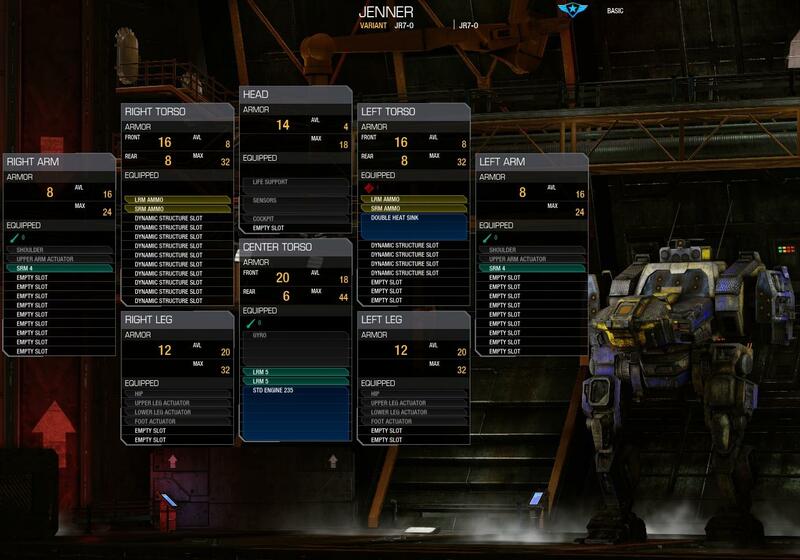 This mech is very light, so you should consider to add those two upgrades. Edited by Catalina Steiner, 12 September 2014 - 01:36 PM. The Yen-Lo-Wang is named after the Chinese god of death (Yama). 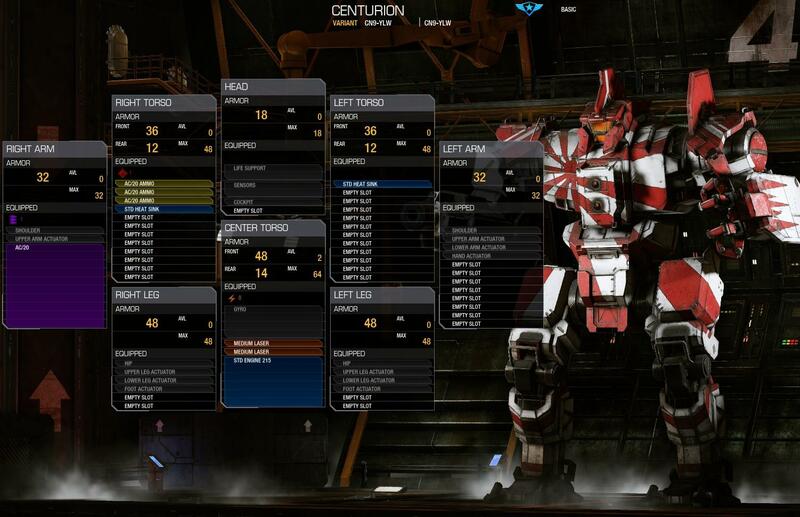 It was the first hero mech ever appeared in MWO and it's the hero variant of the Centurion chassis. 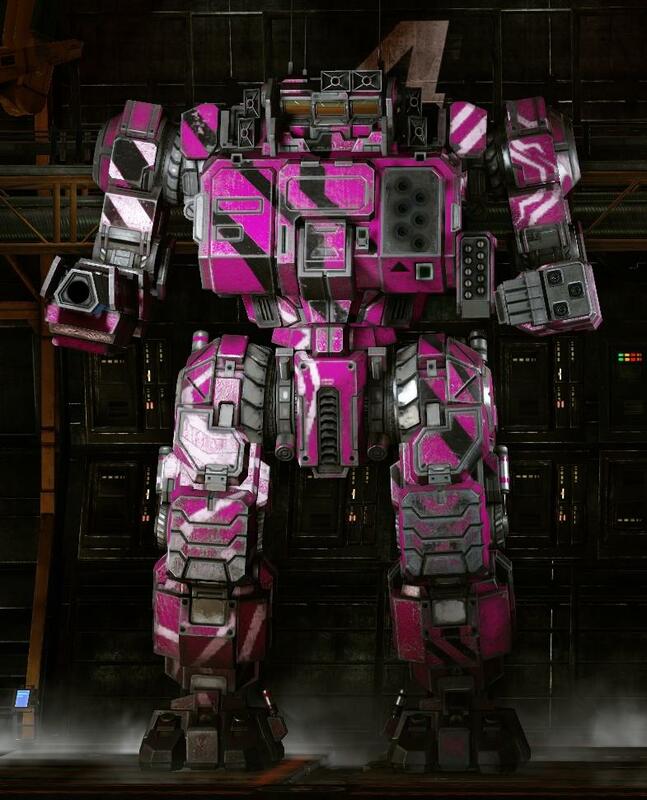 This mech is loved and hated both. 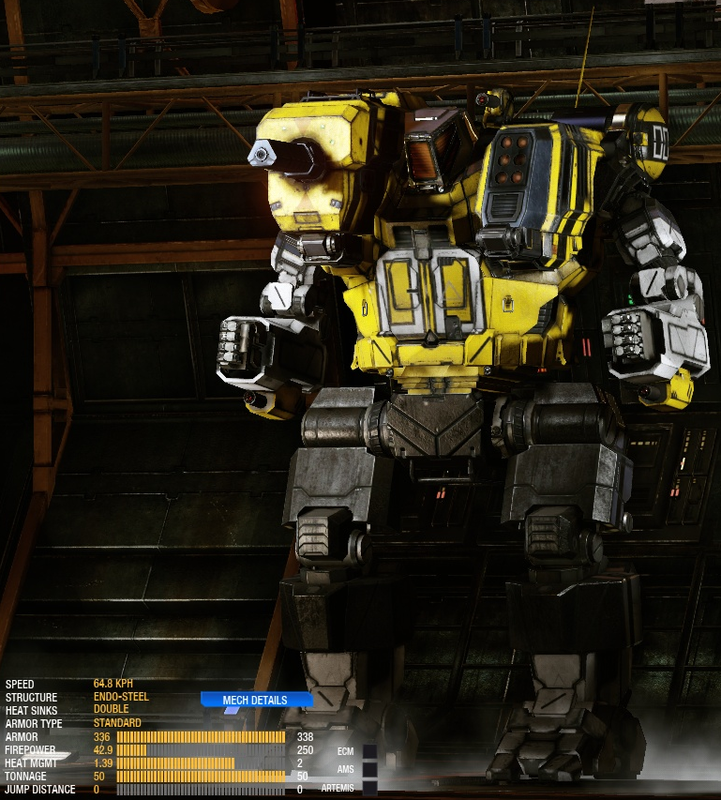 The ballistic hardpoints can be used to build a sniper but the Centurion is an excellent brawler. The YLW comes without any upgrades. Double heat sinks and endo-steel should be installed. 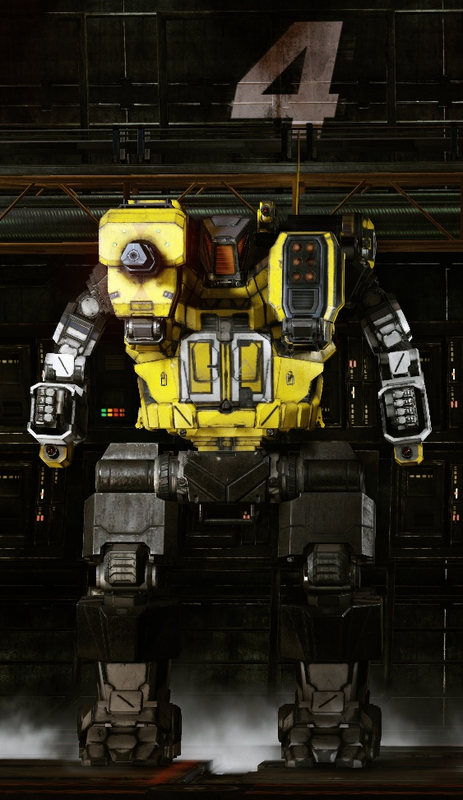 Please consider that the energy hardpoints are placed in the center torso (so there are only two slots available). Edited by Catalina Steiner, 12 September 2014 - 01:35 PM. The YLW comes without any upgrades. Double heat sinks and endo-steel should be installed. 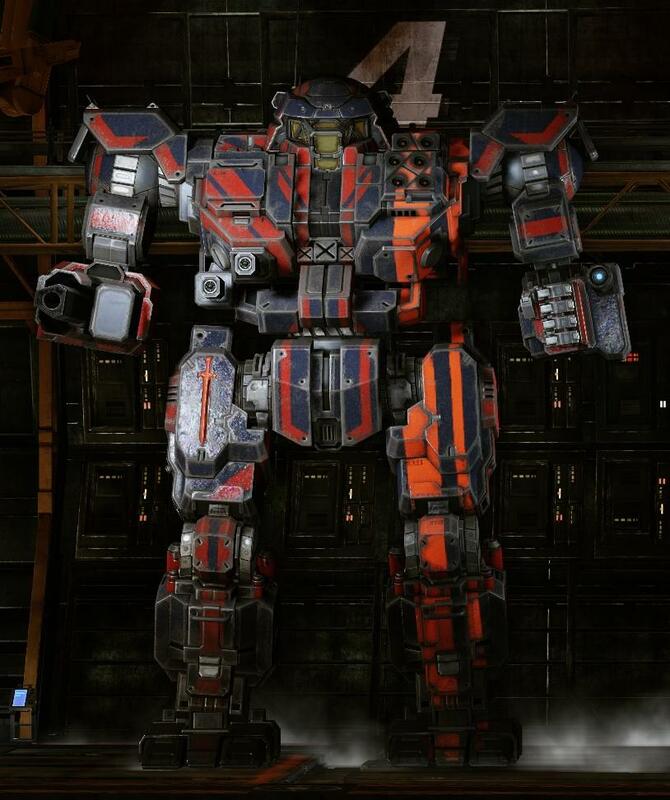 Ferro armor is also usually an easy fit on the YLW, though with endo, double sinks, and an XL engine you might find yourself limited to only 3 tons of ammo. Also, price, not prize. Different words with very distinct meanings. A prize is something that is awarded to you (as in a lottery or contest), a price is something you pay in exchange for something. I've been told that the German word preis is used for both. Ilya Muromets is named after Ilya Muromez, a russian hero of legends happened in the middle ages (Илья Муромец). 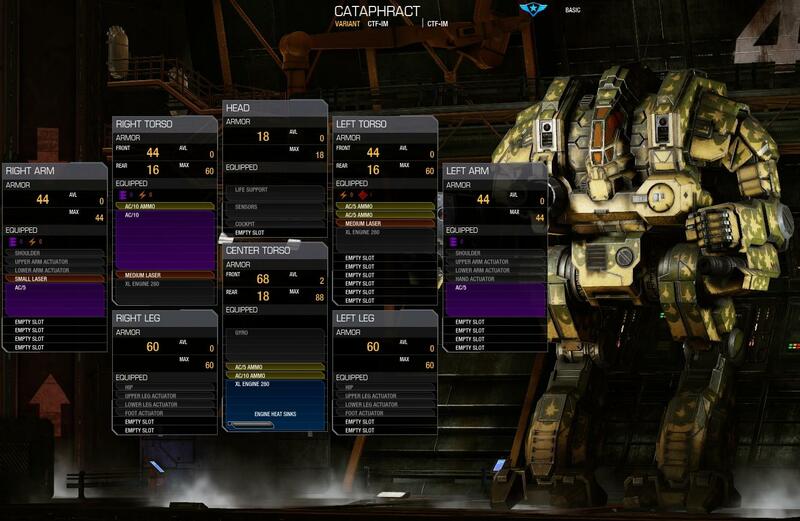 It's the hero variant of the Cataphract chassis. 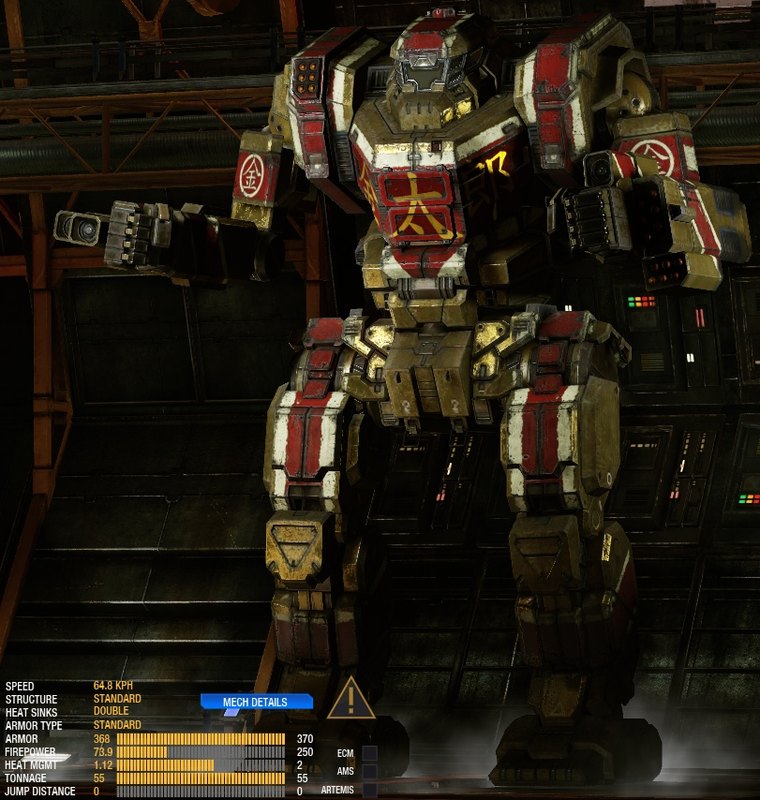 There are rumors that this Cataphract variant is the most successful mech until now. It can carry a double Gauss rifle but not two AC/20's. 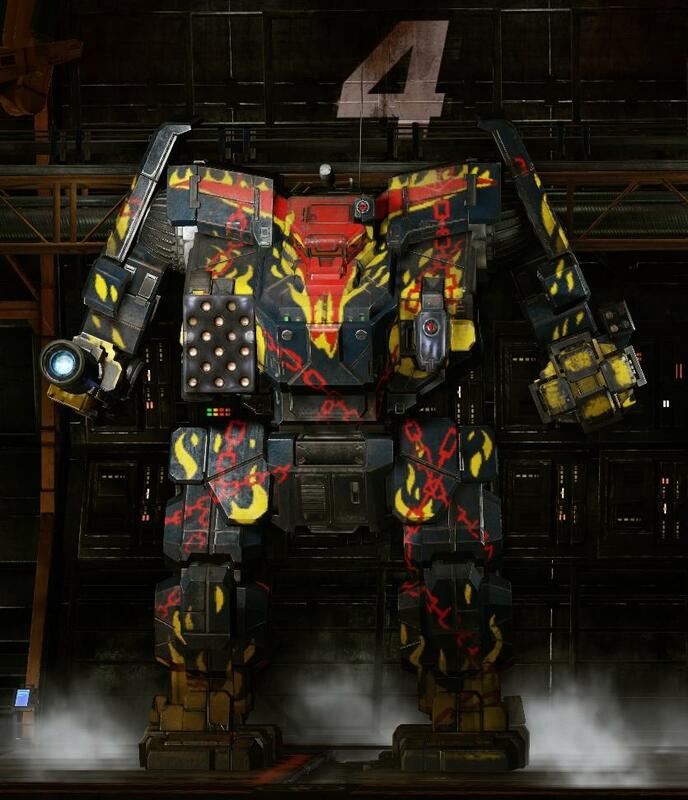 It's the perfect brawler chassis. The IM comes without any upgrades. Double heat sinks and endo-steel should be installed. 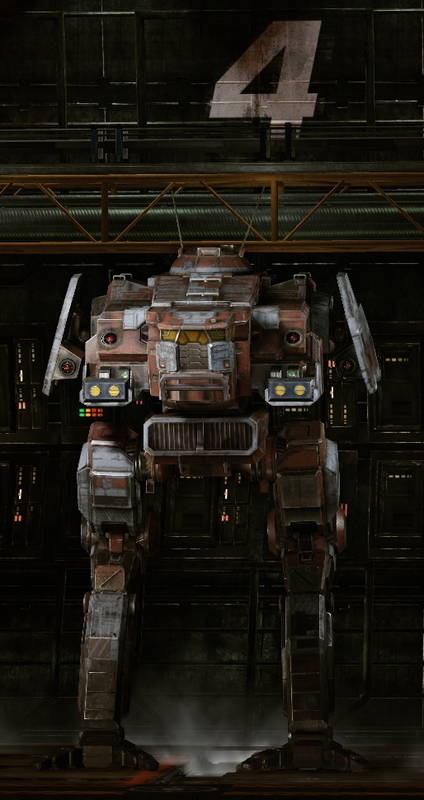 The AWS-Pretty Baby is named after the Awesome mech of the same name piloted by MechWarrior Danielle Peterson of Chrisholm's Raiders. The Pilot and the mech name were originally listed in the Notable Pilot section in the original version of Technical Readout: 3025. However, there were no stats listed for Peterson's vehicle. The hero variant is special because of the possible engine size you can build in it. 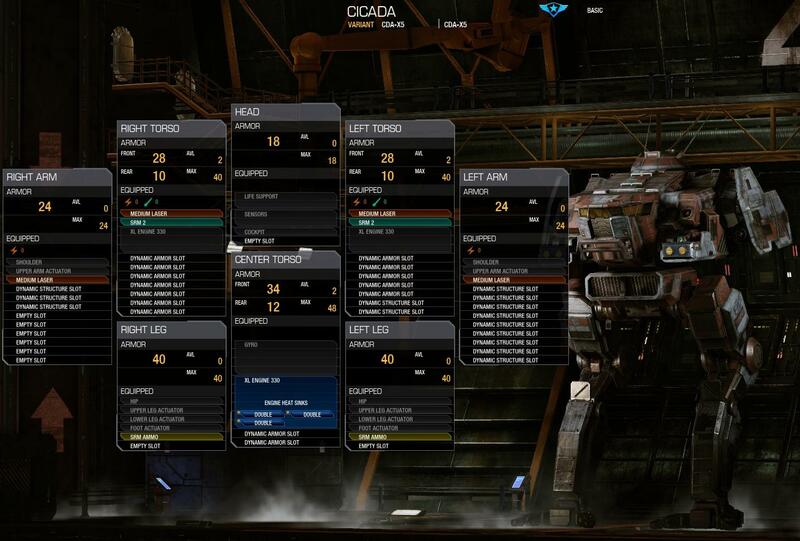 Four variants can only carry a engine of the size of 300, one variant can carry a 385 engine but the hero mech is able to carry a 400 engine. The PB comes with double heat sinks. Endo-steel structure should be taken into consideration. Edited by Catalina Steiner, 12 September 2014 - 01:34 PM. The X-5 is a prototype for an advanced Cicada. 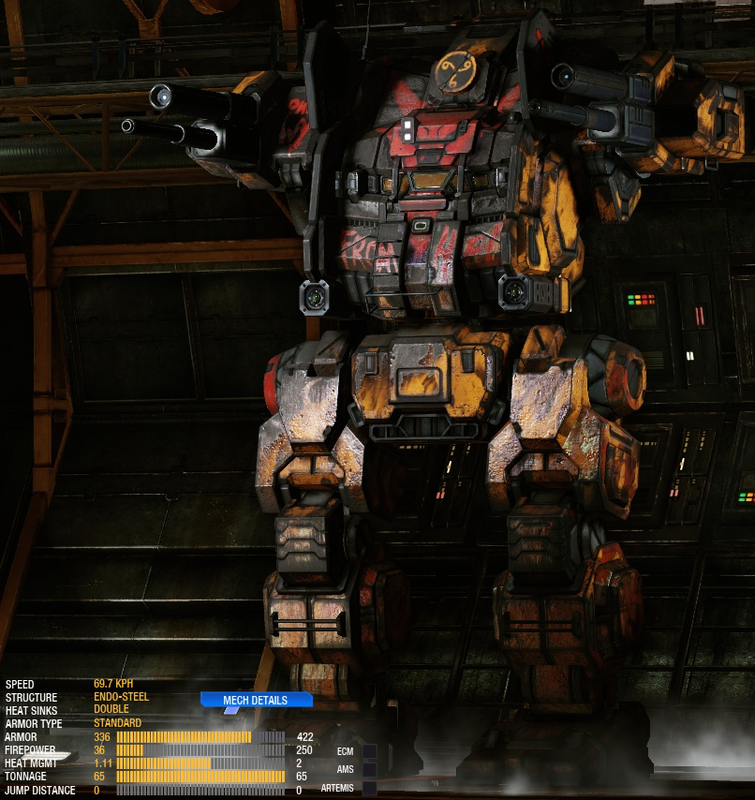 Outfitted with ferro-fibrous armor, double heat sinks, a XL engine, and endo-steel skeleton, it still manages to outpace all medium mechs and almost all light mechs. 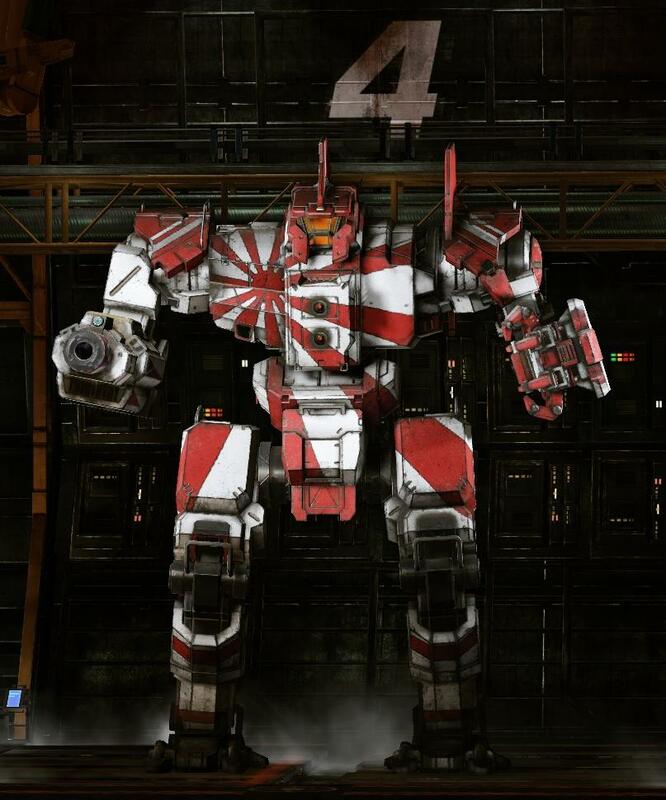 Its armament is optimized for short range, with four medium lasers and a pair of SRM2's fed by an experimental ammo system, giving it a light armament by medium mech standards, but still much better than the older 2A, 2B, and 3C variants. 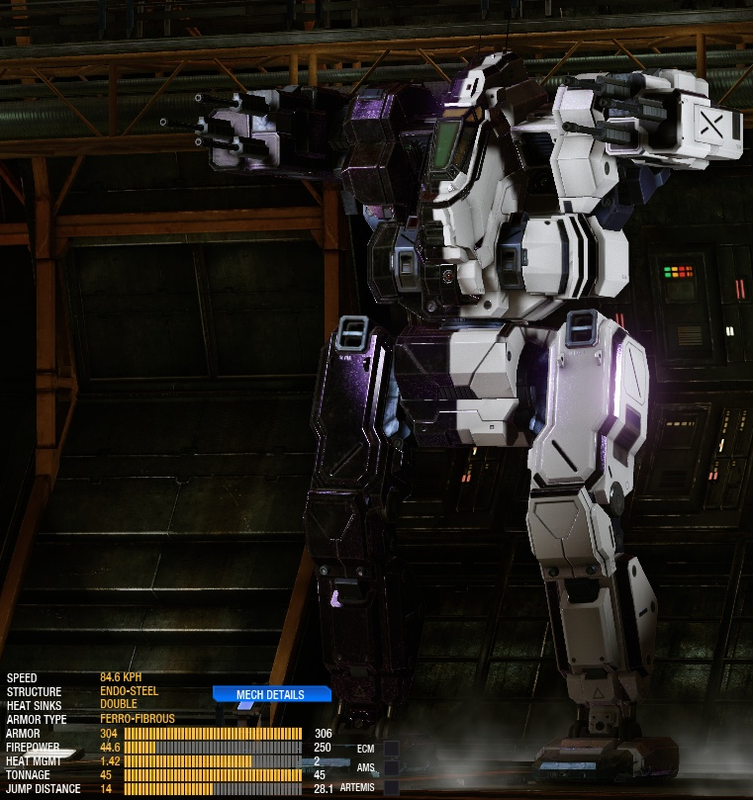 Though the design was highly successful in testing, a combination of the extreme price of production, the relative fragility of the mech, and the difficulty of piloting the mech due to its extreme speed and higher inertia (as compared to comparably fast light mechs) prevented the X-5 from entering production. The few prototype models deployed in combat after testing concluded proved to be a deadly force on the battlefield. Lessons learned with this model were applied to the 3F variant, though the missile capability was dropped due to jamming issues. 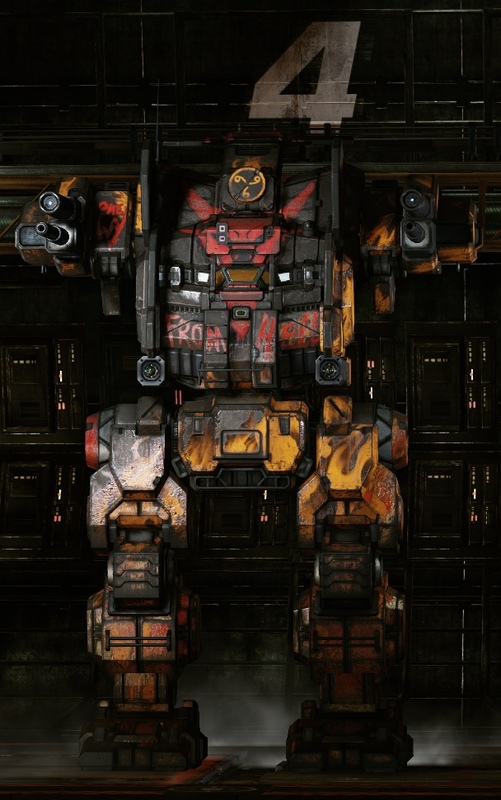 This is an apocryphal 'Mech, designed for MWO. 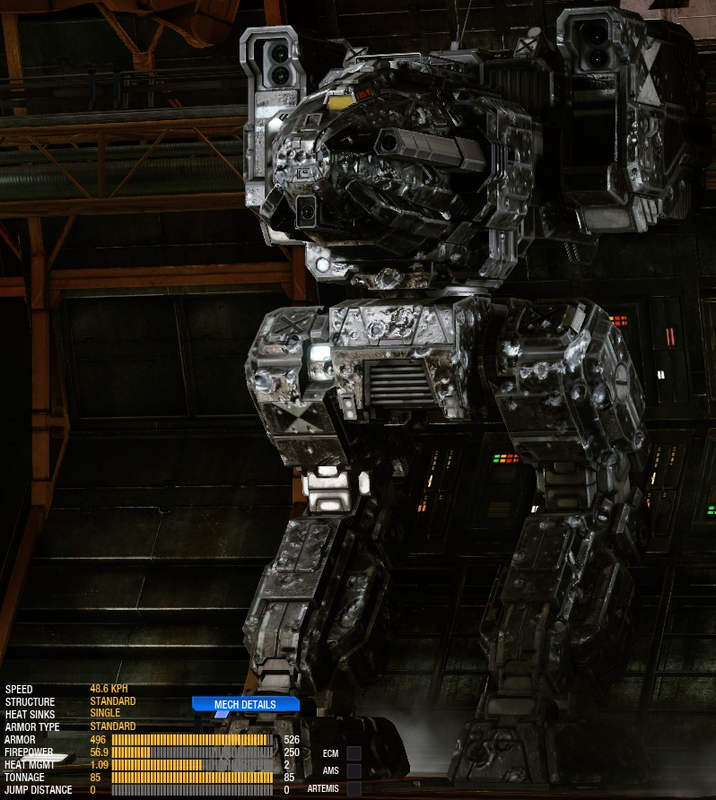 The X5 comes with endo-steel structure, ferro-fibrous armor and double heatsinks. Edited by Catalina Steiner, 12 September 2014 - 01:38 PM. 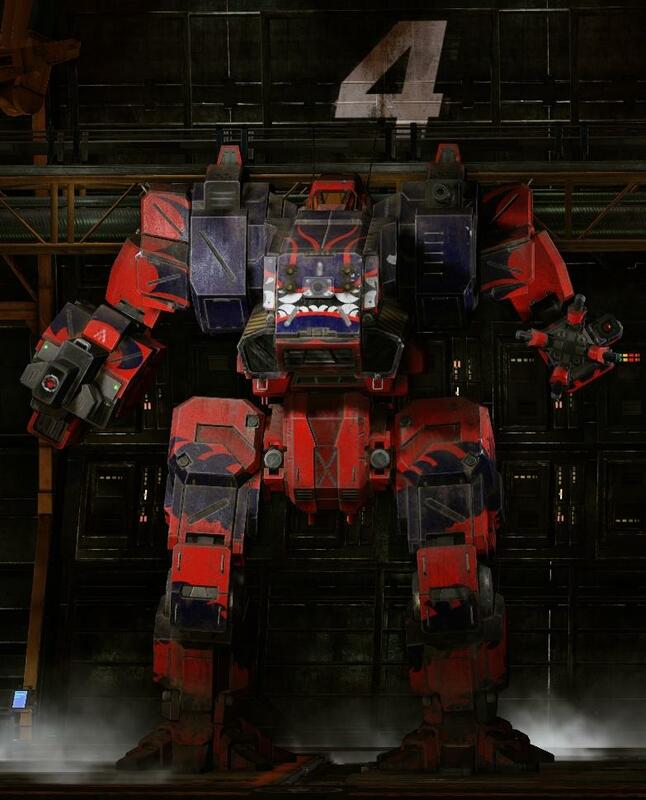 Piloted by Donald Takeda, the Dragon DRG-FANG is a modification of his father's DRG-1N. 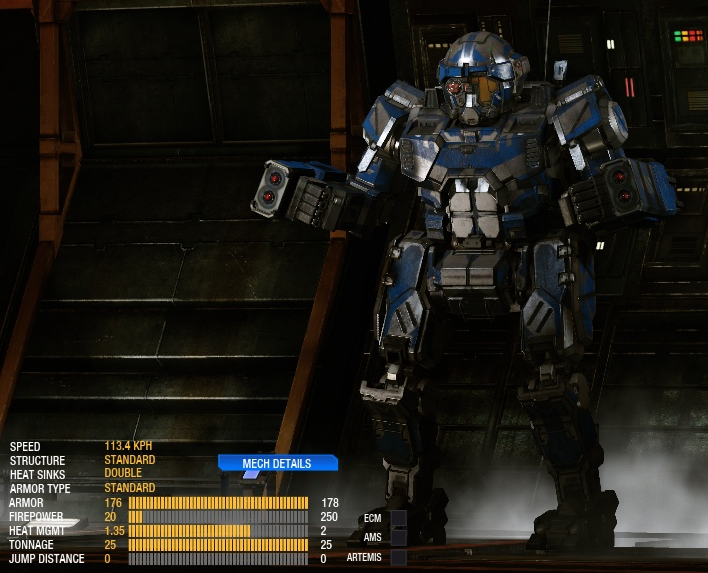 He designed the mech to suit his brawling style in battle, giving it high armor, speed and close-range armament. It boasts a load out of two medium lasers, an SRM6, and an AC/10. 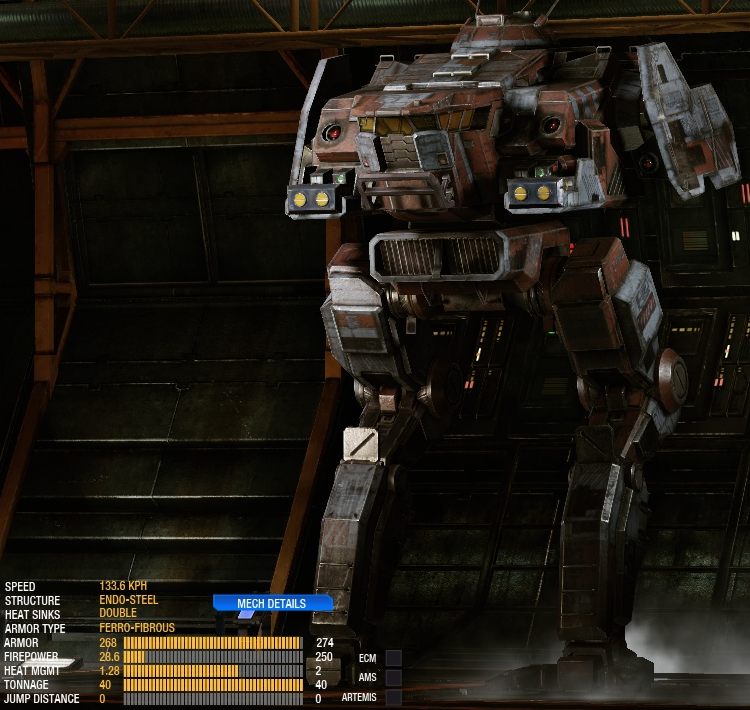 This is an apocryphal mech, designed for MWO. The FANG comes without any endo-steel structure but without double heat sinks. They should be added. Edited by Catalina Steiner, 12 September 2014 - 01:53 PM. 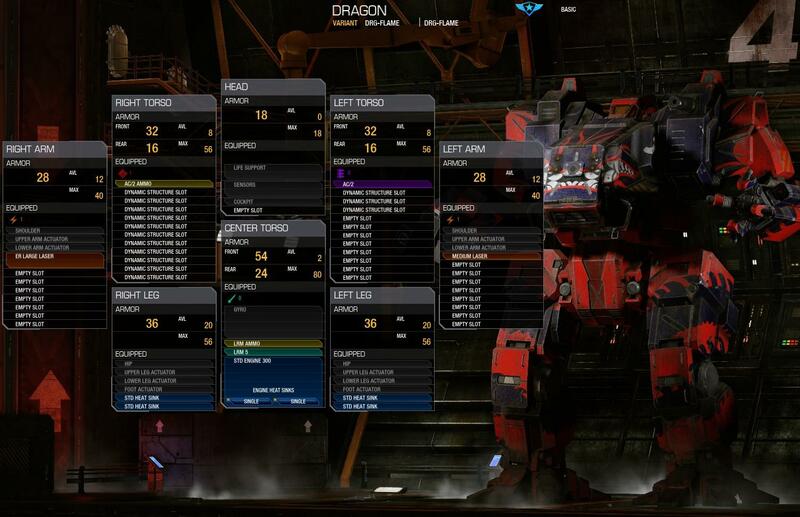 Piloted by Martin Takeda, the Dragon DRG-FLAME is a modification of DRG-1C he inherited from his grandmother. As a direct opposite of his brother's Fang, he altered the mech to be a good long-range fighter. His signature change is the moving of the AC/2 from the machine's arm to the left torso. It is equipped with a medium laser, AC/2, LRM5 and an ER Large Laser. The FLAME comes without any endo-steel structure but without double heat sinks. They should be added. 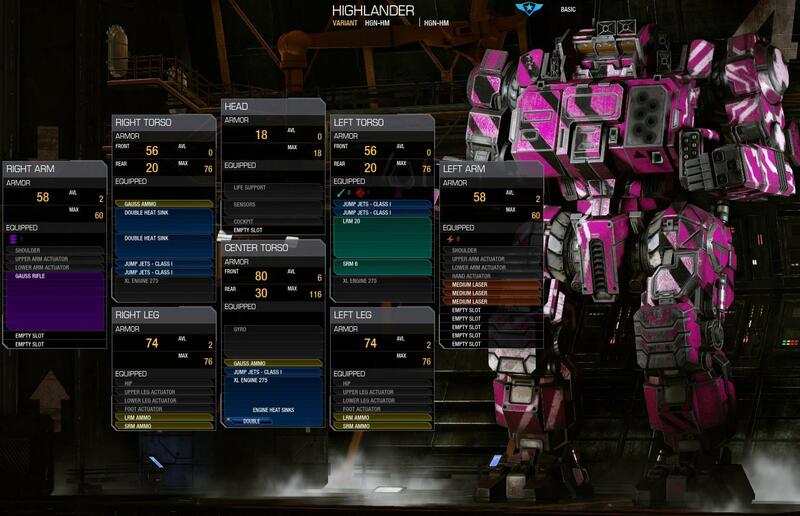 The Heavy Metal model of the Highlander is the signature ride of Rhonda Snord of the Snord's Irregulars mercenary unit. This customized Highlander features a number of recently reintroduced lostec technologies. The most expensive example is the XL275 Engine which saves weight for a heavy weapons payload, a Gauss Rifle in the right arm provides respectable punch at long range, while 13 double heat sinks keep the design running cool. 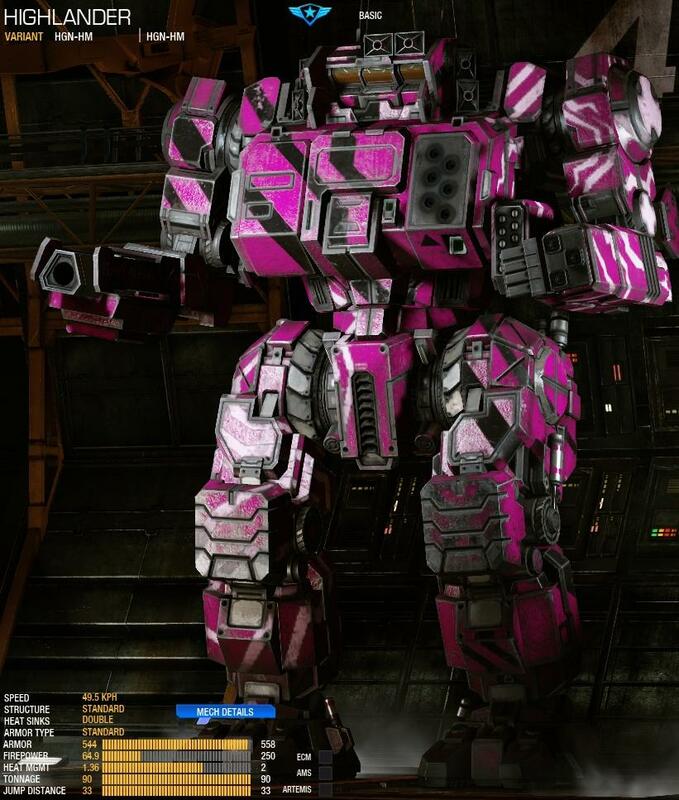 The most notable feature of this mech, aside from the bright pink paint perhaps, is the signature speakers mounted around the head of the mech. These speakers belt out rock music each time the pilot achieves a kill. 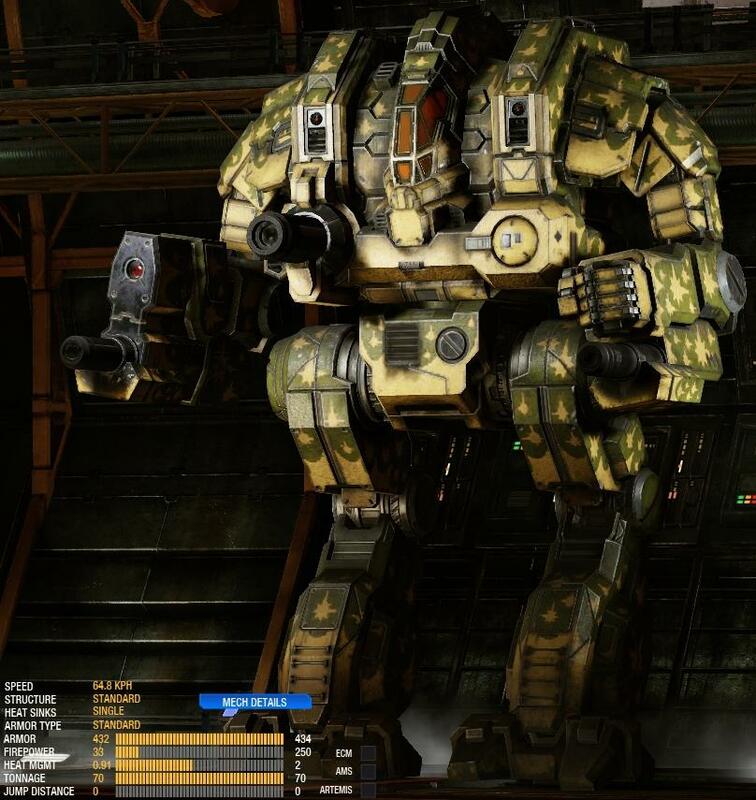 The HGN-HM is quite maneuverable for an assault mech thanks to its capability of mounting up to five jumpjets. All direct fire weapons are mounted in the arms which provide for the greatest degree of accuracy. 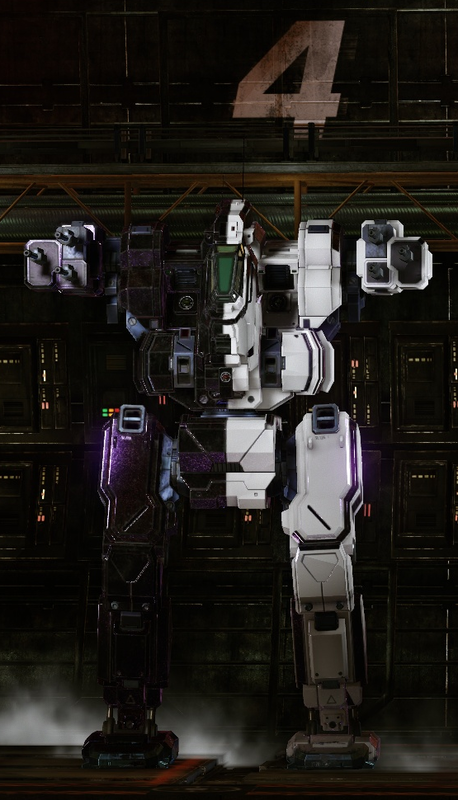 Two missile slots in the side torso make a it possible for missile systems to be either a primary or back up weapons payload. TheHeavy Metal can mount a ballistic weapon in the right arm, but the sizes are limited by the inclusion of a lower arm actuator. An AC/20 for example cannot be mounted there. Taking advantage of the two ballistic hardpoints there will require a mix of lighter autocannons. The HM comes with double heat sinks. You should think about another upgrade carefully. 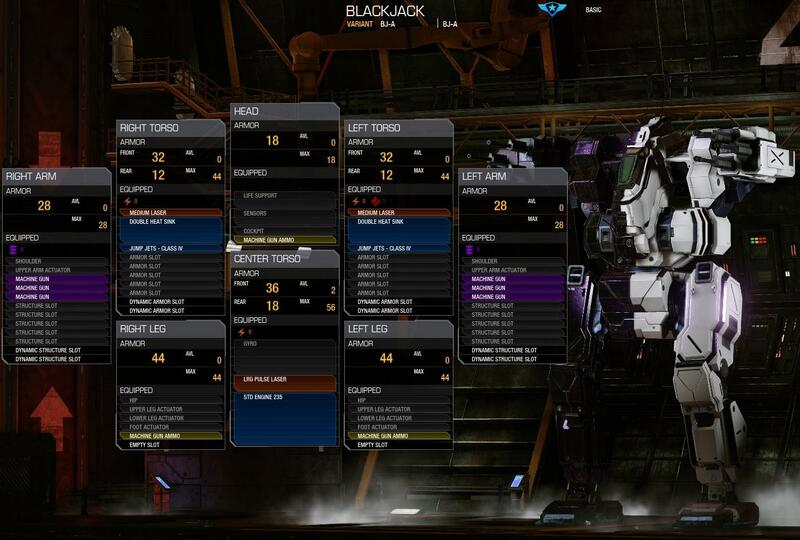 It's a very heavy mech and maybe your free slots become rare. If needed you should consider endo-steel structure. Edited by Catalina Steiner, 14 September 2014 - 12:22 PM. 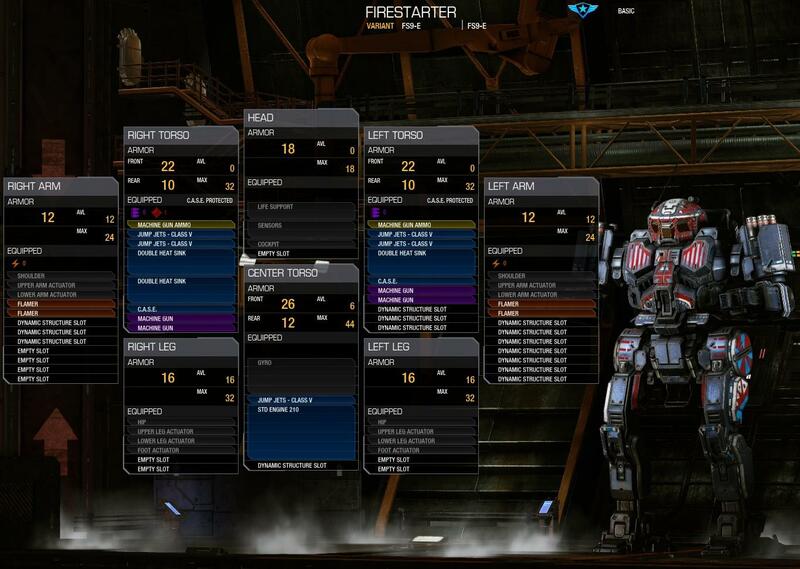 The Firebrand is the perfect brawler mech but you can also build a sniper with it. 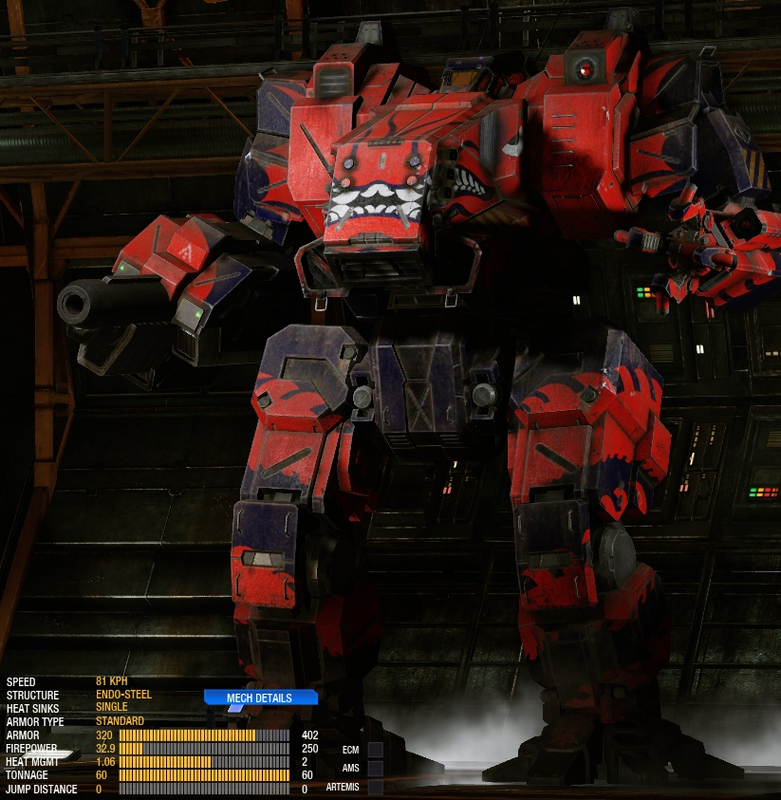 It has "only" two ballistic hardpoints (same as the JM6-A, the other two Jagermechs have more ballistic hardpoints) but you can install all ballistic weaponry you wish. It can carry AC/20's, Gauss rifles and anything else. 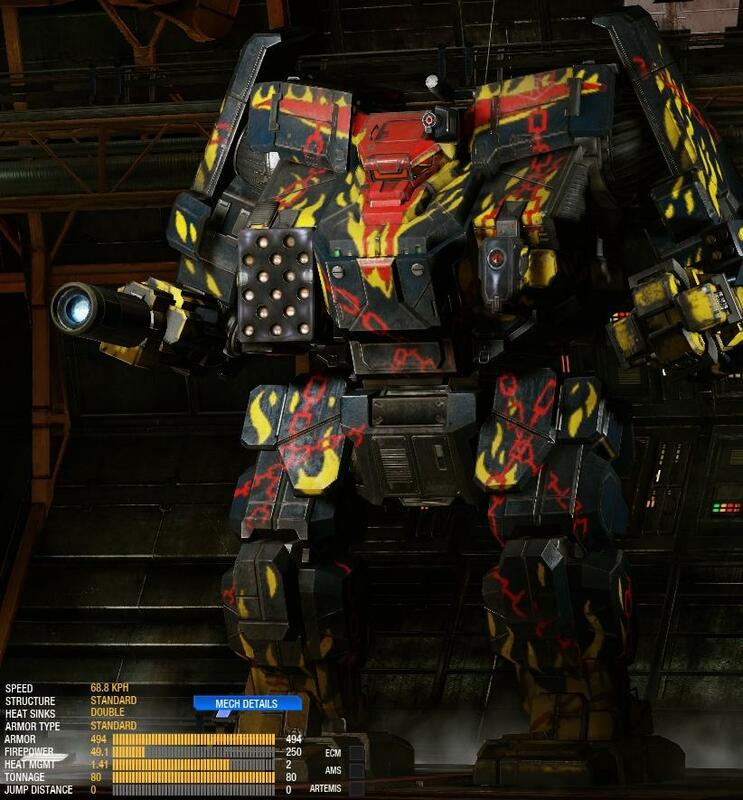 The high number of energy hardpoints make this variant unique. The FB comes with endo-steel structure and double heat sinks. So there are no necessary upgrades to buy. Edited by Catalina Steiner, 05 October 2014 - 05:49 PM. The Misery features at first for the Stalker line: a ballistic hardpoint. 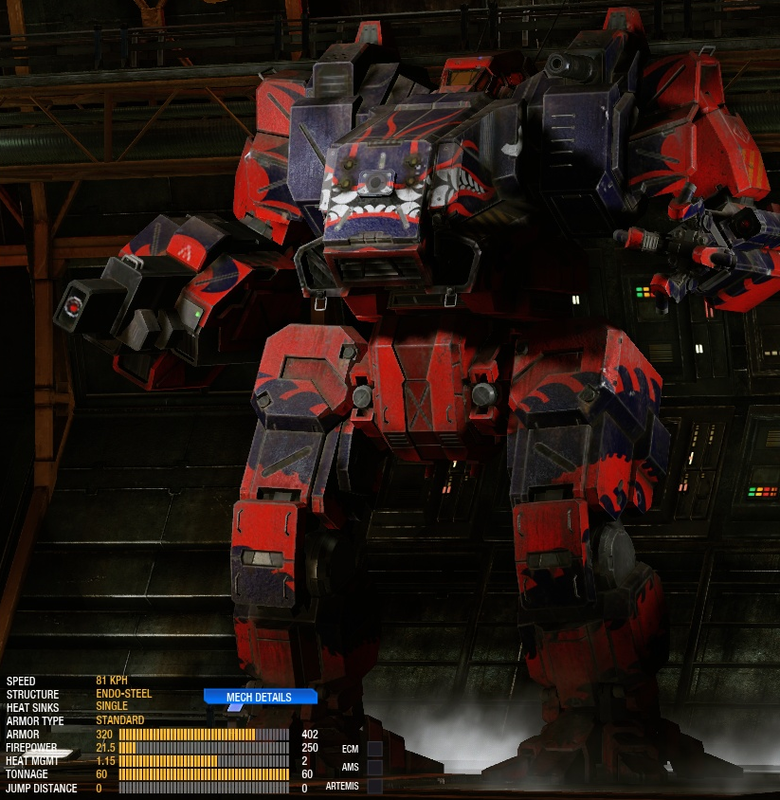 Combined with a generous number of energy hardpoints, the Misery is just as capable of unleashing punishing damage at long range with less heat build up. 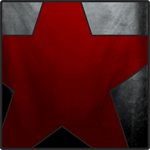 The Misery focuses almost exclusively on direct fire weaponry, weapons which are emphasized on most Stalker loadouts. The addition of a single ballistic hardpoint gives the STK-M the option to use large ballistic weapons like the Gauss Rifle or AC/20 to mitigate some of the incredible heat buildup caused by most Stalker builds. 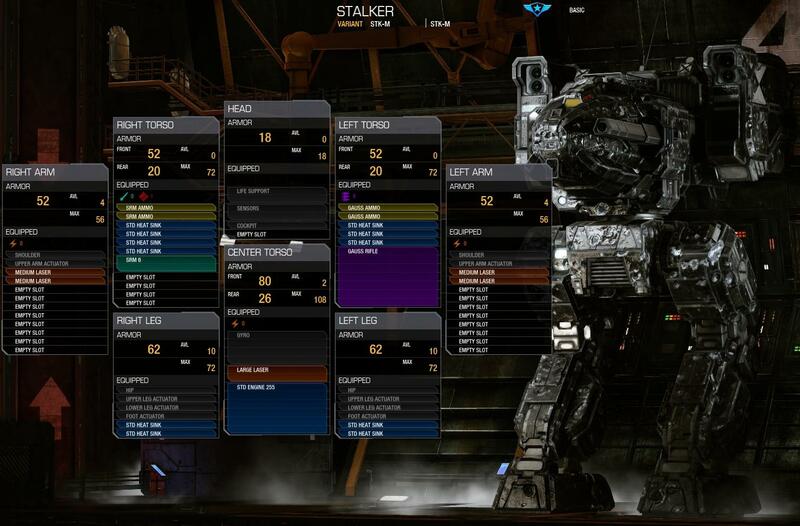 Additionally, it has a 10% boost to both the turning rate and acceleration found on most Stalkers. The Misery shares a few glaring weaknesses common to all Stalker models, terribly torso range and slow turn speed. It also has the fewest number of weapon hardpoints of any Stalker, mostly at the cost of missile weapons. 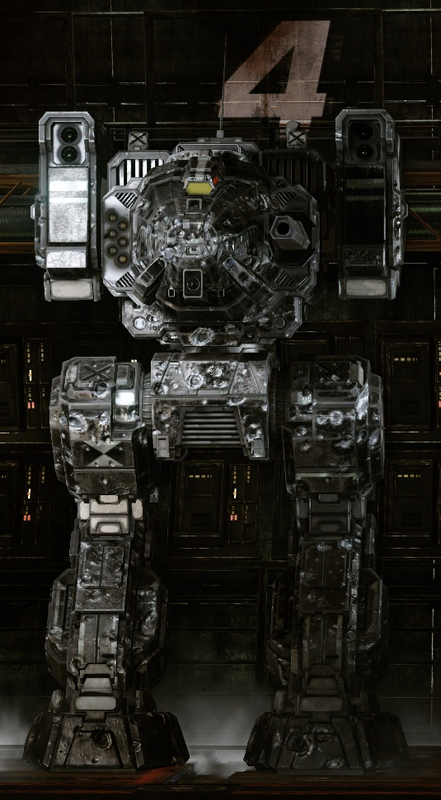 The single missile hardpoint in the right torso seems to almost be an after thought and will likely be unused in most configurations. The new ballistic hardpoint may also become a glaring weakness when Gauss Rifles are installed there. The side torsos of Stalkers are notoriously easy to hit. The Misery comes without any upgrades. You will need double heat sinks and endo-steel structure. Edited by Catalina Steiner, 19 September 2014 - 04:36 PM. 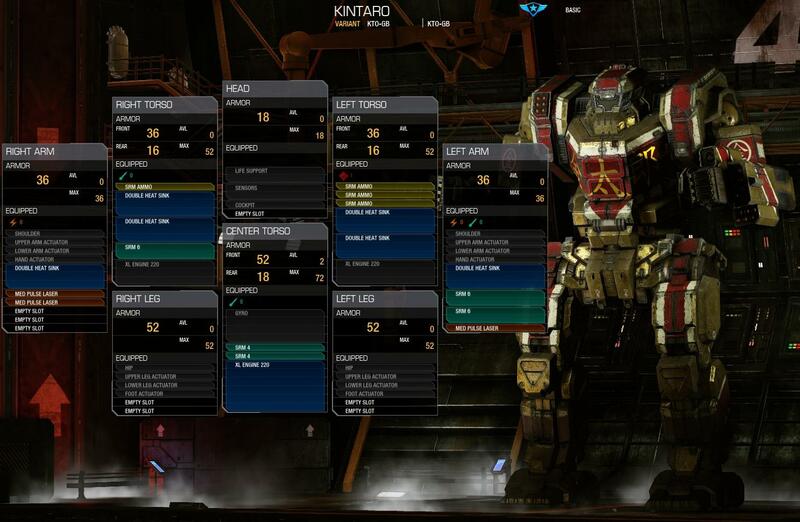 The Golden Boy has more weapons hardpoints than any other Kintaro variant but suffers due to a smaller torso twist range. Five missile hardpoints cannot be ignored. 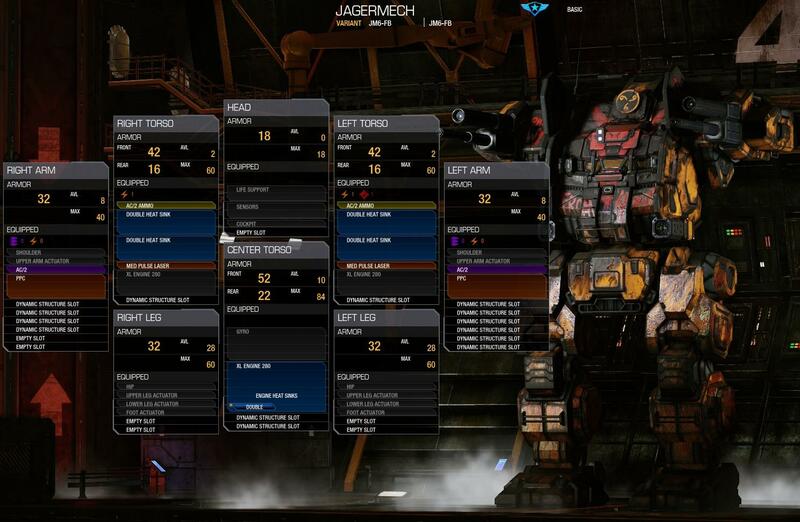 So the mech qualifies for an evil (streak) SRM harraser or a fast medium LRM-boat. 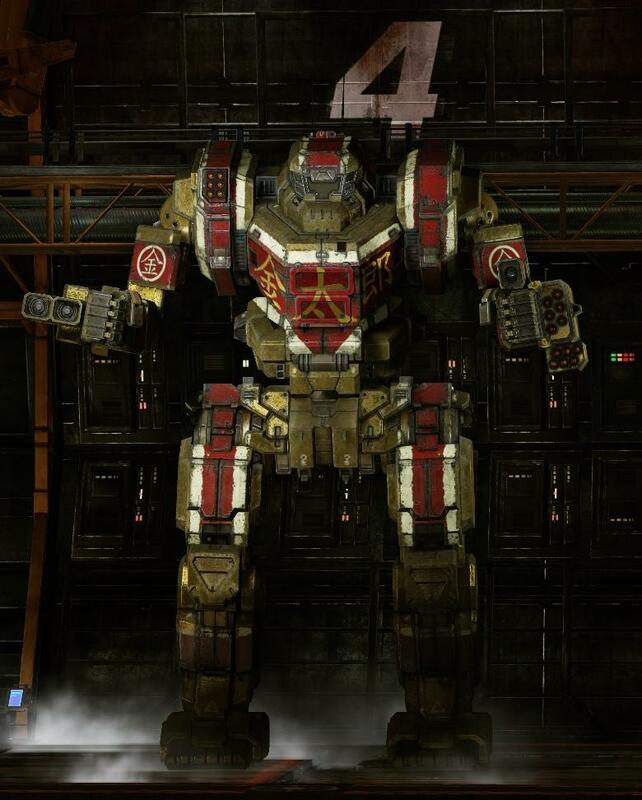 One of the most notorious builds is the 5x LRM5 Golden Boy (5x LRM5-GOLDEN BOY). The GB comes with double heat sinks but without any other upgrades. Endo-steel structure should be considered. 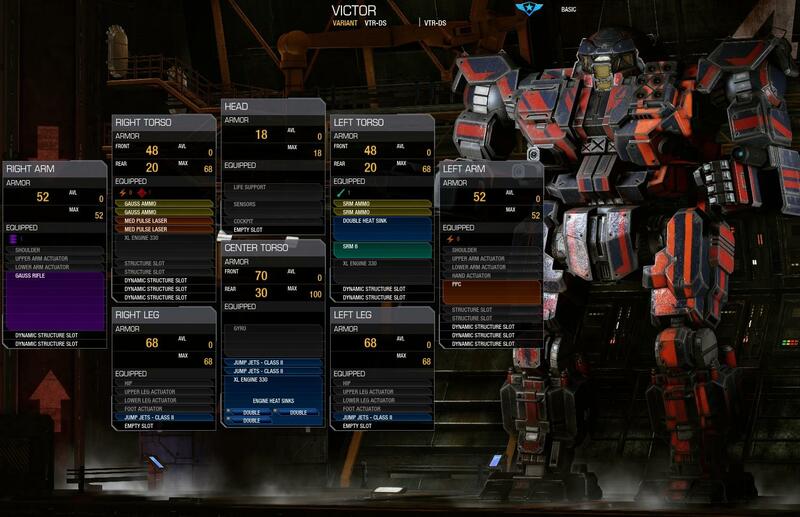 The Dragon Slayer is the hero variant of the Victor assault mech chassis. 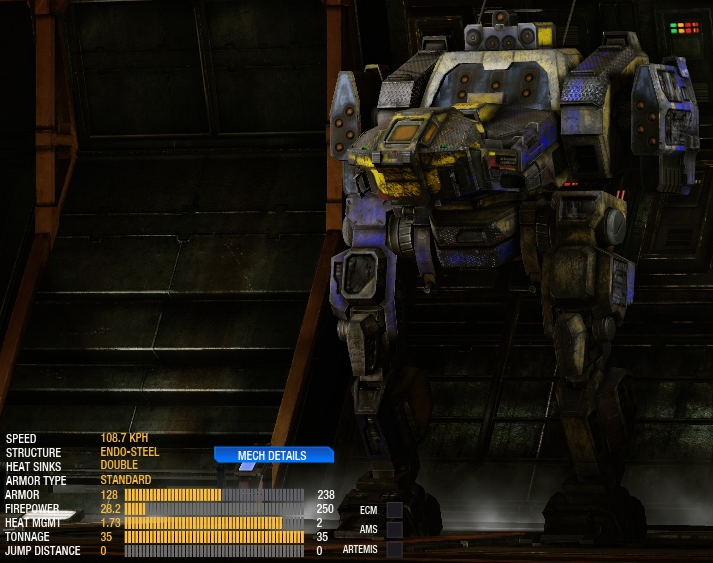 This mech is an allrounder, due to his hardpoints. It's the only Victor variant who can carry an engine with the size of 400. The DS comes with double heat sinks and endo-steel structure. The Ember is fast, equipped with jump jets, and can bring an impressive array of energy weapons and machine guns into play. The Ember comes with double heat sinks and with endo-steel structure. 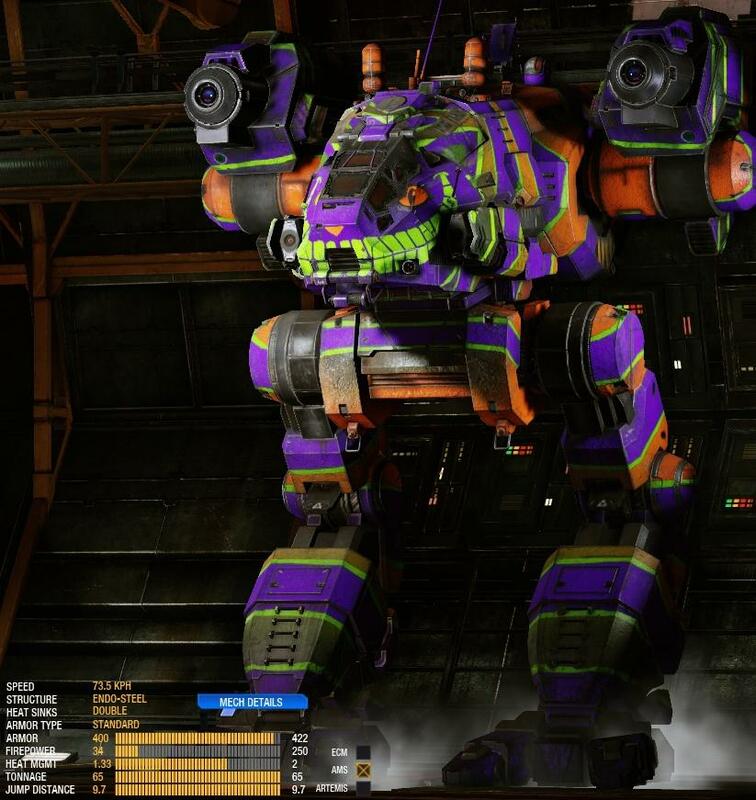 This is the perfect outfit for this mech. 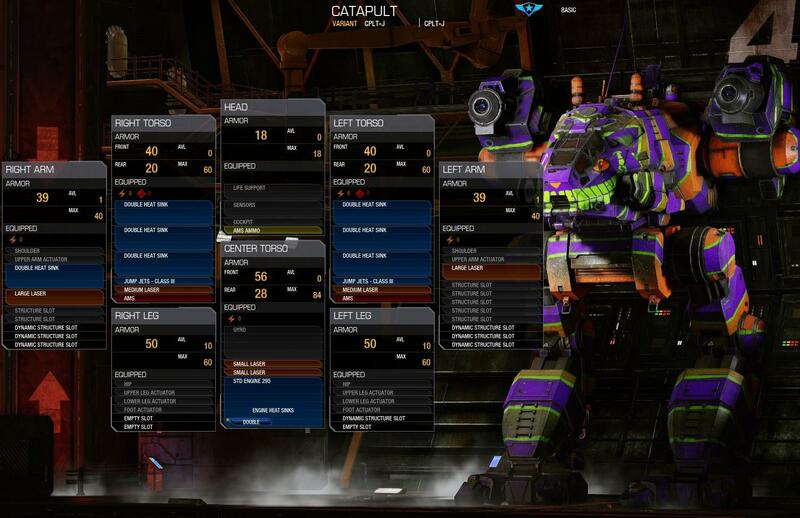 The CPLT-J "Jester" hero mech is an energy-weapon only variant of the regular Catapult, offering six energy hardpoints well distributed over its components. It's also able to equip two AMS. 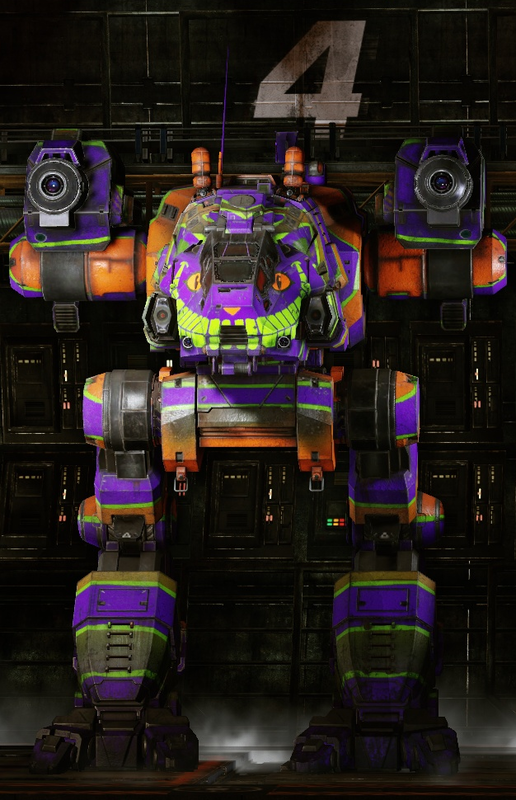 The JESTER comes with endo-steel structure and double heat sinks. So there are no necessary updates to buy. This 50 ton Hunchback features a 200 XL engine with a top speed of 64.8 kph. 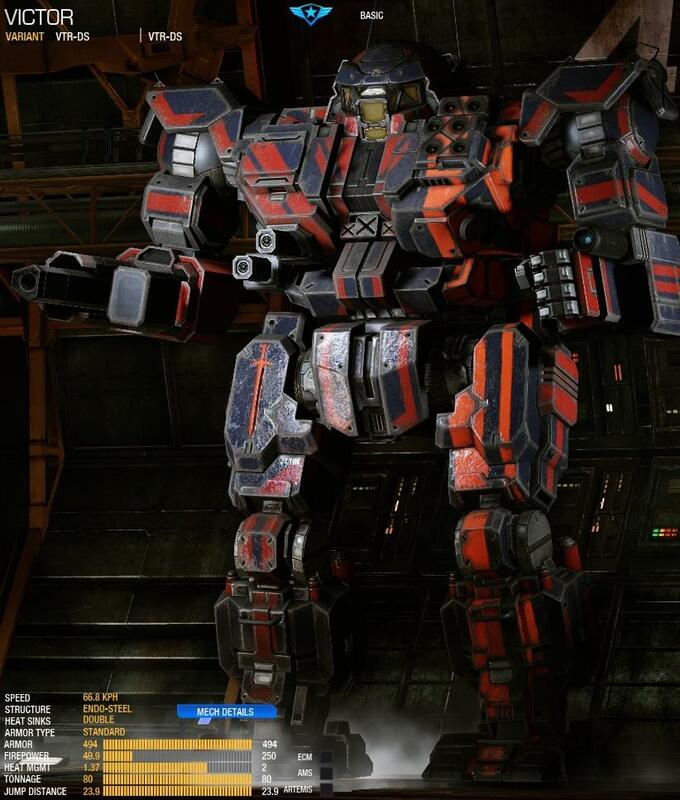 With 3 energy hardpoints, 2 ballistic hardpoints and 1 missile hardpoint, the Grid Iron is sure to blast you through to the end zone. The GI comes with endo-steel and double heat sinks. So all necessary upgrades are included. Edited by Catalina Steiner, 01 October 2014 - 04:19 PM. 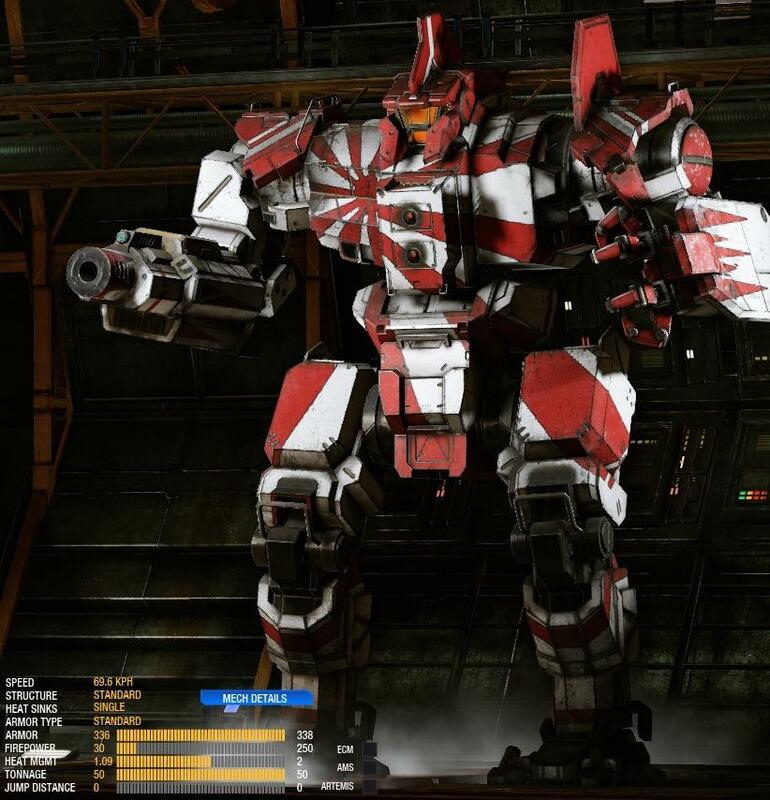 The Oxide is the Hero version of the Jenner and features an all missile loadout. Armament includes two SRM4 and two LRM5. The Oxide comes with endo-steel structure and double heat sinks. 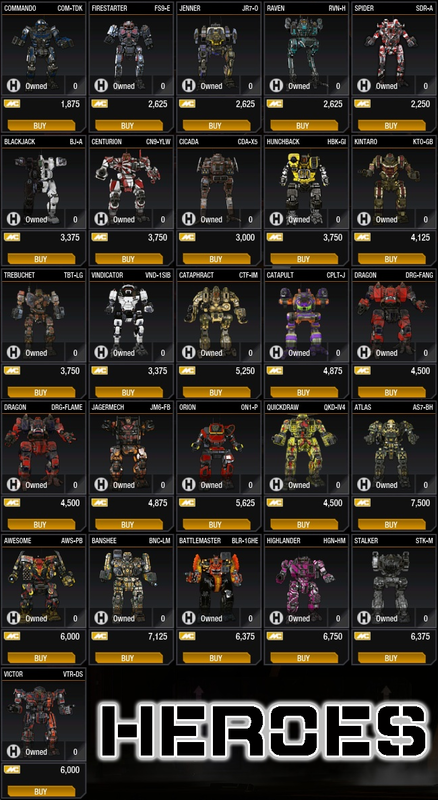 As for the stock mech you can see that there are lots of free slots. So ferro-fibrous armor can also be considered. Edited by Catalina Steiner, 01 October 2014 - 04:20 PM. The Arrow is the hero version of the Blackjack and features a machine gun based loadout with an additional large pulse laser. 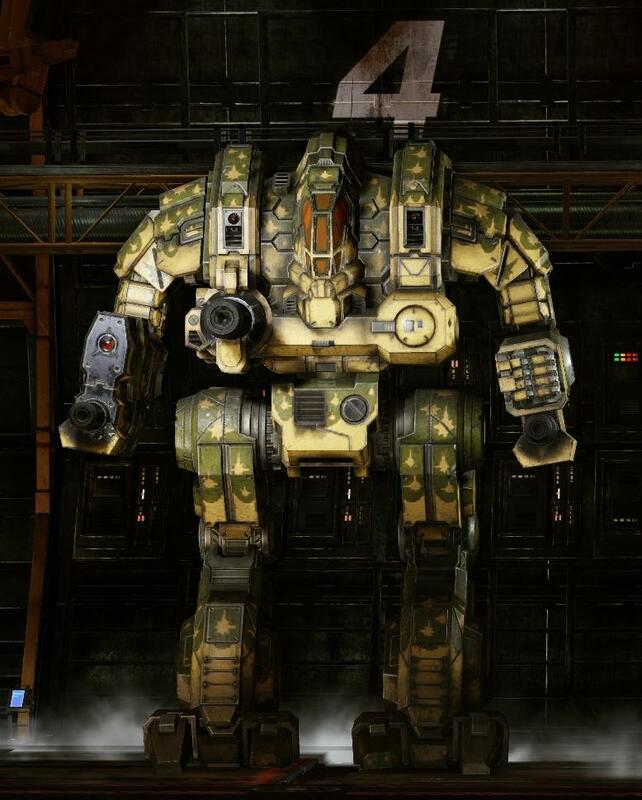 The BJ-A is the only variant to feature a hardpoint in the center torso. 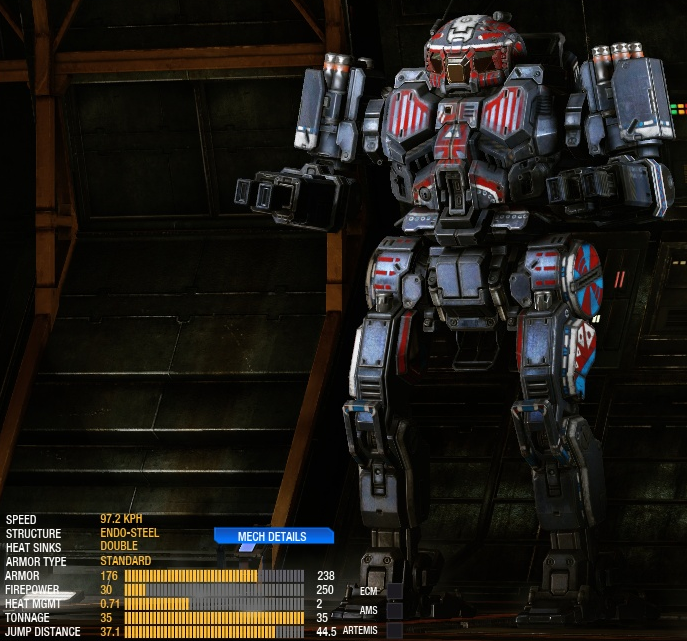 Six machine guns will crit anything that has lost its armor in seconds. 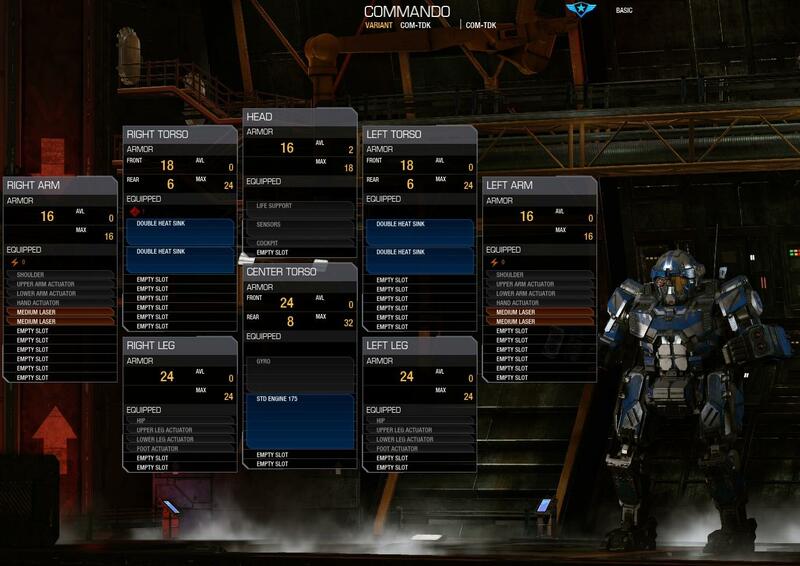 But the machine guns will have a tough time against enemies with full armor. The Arrow comes with ferro-fibrous armor, endo-steel structure and double heat sinks.